The 7th annual international birdwatching race “Latvia’s State Forests Bird Rally 2018” took place on Saturday, 15 September, and all teams together recorded 131 bird species. As reported before, the team “TTTŠ” (Gaidis Grandāns, Uģis Piterāns, Edgars Laucis, Ivars Brediks) with recorded 105 bird species was announced the winner of the race “Latvia’s State Forests Bird Rally 2018”. A total of five teams of birdwatchers and ornithologists from Latvia and Lithuania took part in the race. “Saldus izlase” (Māris Jaunzemis, Valts Jaunzemis, Ainars Mankus, Jānis Jansons) won the prize for the most attractive presentation of the birds recorded during the race in social networks. This year’s race took place in the western part of Vidzeme. During the 14-hour-long race, which took place from 04:00 to 18:00, the teams with their own chosen means of transport surveyed the race area by a freely chosen route, recording both visually and audibly the recognised bird species and subspecies in the List of Latvian Bird Species and Subspecies. The species or subspecies to be registered in the list of the race had to be identified by at least three team members. There were three to four participants in each team. The race was judged by experienced bird experts Valdis Roze, Kārlis Millers and Kaspars Funts. The Bird Rally was organised by Joint Stock Company “Latvia’s State Forests”, Latvia Birds Fund and portal www.latvijasputni.lv. For more information about the race and the bird species and subspecies registered in the course of the race visit www.mammadaba.lv and www.latvijasputni.lv. 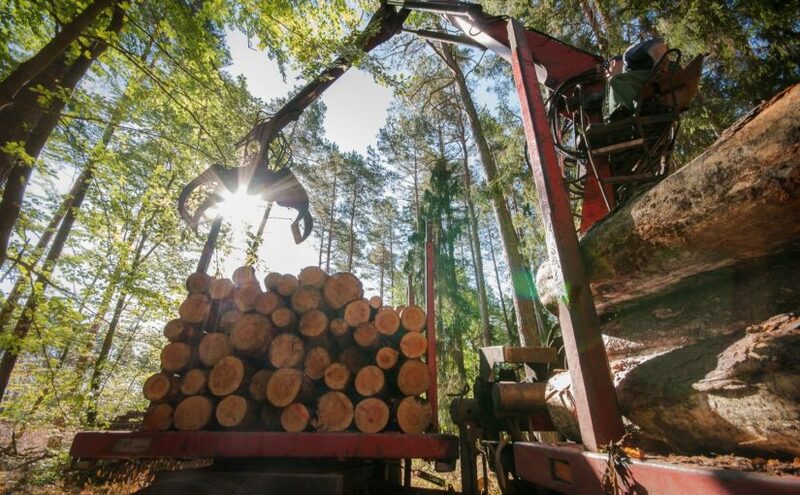 Mid-term review of the EU Forest Strategy: where do we stand? The mid-term review of the EU Forest Strategy (2013) is currently ongoing. In a recent meeting between EUSTAFOR and the European Commission’s DG Agriculture, a roadmap of the next steps towards the finalization of the mid-term review was given. 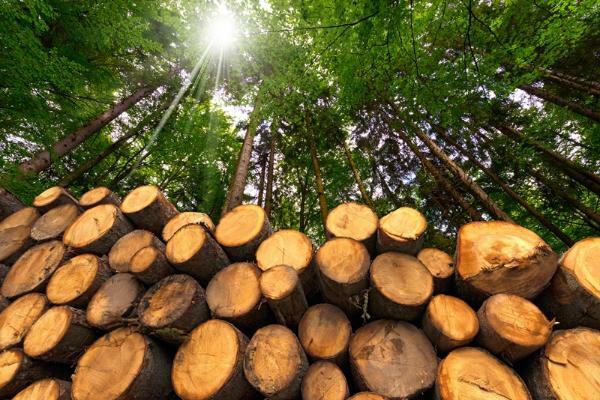 During the last year, the EU Forest Strategy has been an important topic for EUSTAFOR (link) as the finalization by DG AGRI of the mid-term review of the EU Forest Strategy is expected by the end of the year. 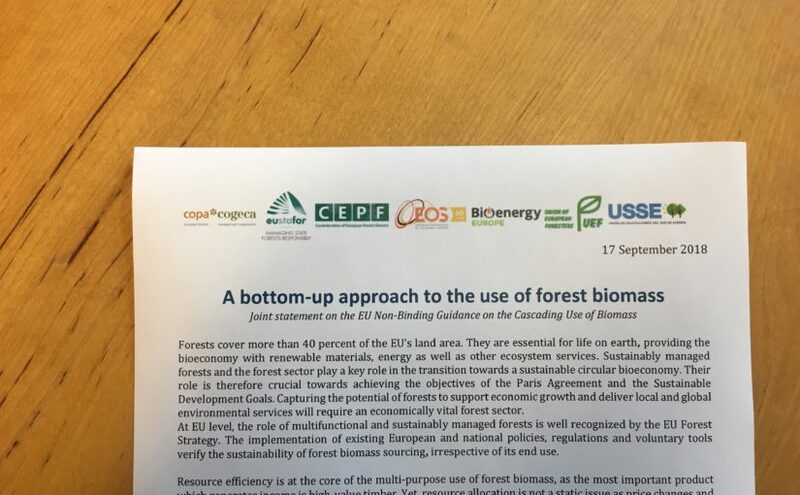 The European Forest Institute (EFI) is completing a study on the progress in implementing the EU Forest Strategy for the European Commission and EUSTAFOR has already provided its feedback (link). During a recent meeting, DG Agriculture informed the EUSTAFOR Office that the Commission will produce a political report based on EFI’s study which will be presented to the European Parliament’s ENVI, AGRI and ITRE committees in December 2018. Following this, the Council is expected to produce its conclusions on the Commission’s report, but it is not clear whether the European Parliament will undertake this file in the current term. On 3 September 2018 the Board of the European Forest Institute (EFI) approved EUSTAFOR’s application for Associated Membership. A decision to apply for membership to EFI was taken by the ExCom following a discussion held on 17 November 2017 in Regensburg, Bavaria. Access to regular and timely information on EFI activities and issues related to European forest research in general (EFI Network News, e-mails from membership service, Directors’ letters). Opportunity to influence the direction of EFI’s program – Associate Members have the right to vote at the Annual Conference. Opportunityto stand for Board membership and have a direct influence on the functioning of EFI. Research collaboration: Associate and Affiliate Members can combine their expertise, find synergies, and share facilities. Strengthenedadvocacy: EFI represents the European forest science community on global and European stages. Participation inpolicy support actions: EFI’s member organizations can be involved in mobilizing the expertise to address policy-relevant questions. EFI’s high-level science-policy forum ThinkForest works to identify emerging policy needs as well as to highlight new knowledge for informed decision-making. 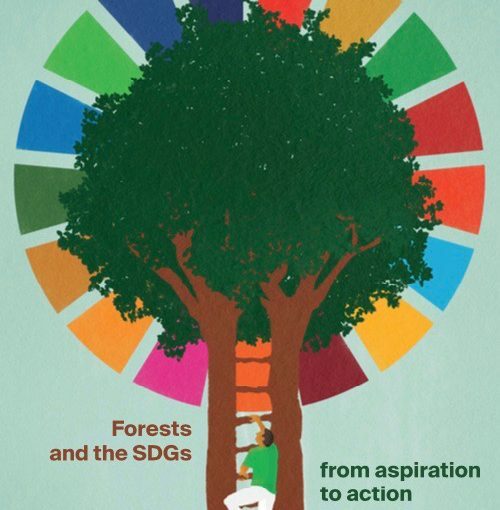 “Forests and the Sustainable Development Goals – from aspiration to action” was the leitmotiv of the 24th session of COFO and the 6th World Forest Week. This year’s session explored the contributions that forests can make to the achievement of the Sustainable Development Goals (SDGs) and other internationally agreed goals; discussed ways and means to accelerate progress, in particular, towards Goal 15; discussed actions for implementing the policy recommendations of the Committee on World Food Security regarding the contributions of forests to food security and nutrition; reviewed opportunities and challenges for urban and peri-urban forestry; considered the implementation of FAO’s climate change strategy and specific tasks related to forest resilience, health and forest fires; and provided strategic direction for the future work of FAO in forestry. 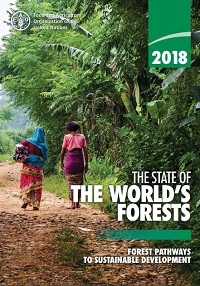 The Committee also welcomed the launch of State of the World’s Forests 2018 (SOFO 2018), entitled “Forest Pathways to Sustainable Development,”and its key messages. The collaboration of the FAO Technical Committees will also continue and will focus on the SDGs, climate change and food security. For the sixth time, COFO was held in conjunction with the World Forest Week – a series of meetings and events sponsored by FAO and its partner organizations and institutions. The World Forest Week is an opportunity for sharing state-of-the-art knowledge and major accomplishments and achievements. More information available under this link. The Committee on Forestry (COFO) is the highest FAO Forestry statutory body. The biennial sessions of COFO (held at FAO headquarters in Rome, Italy) bring together heads of forest services and other senior government officials to identify emerging policy and technical issues, to seek solutions and to advise FAO and others on appropriate action. Other international organizations and, increasingly, non-governmental groups participate in COFO. Participation in COFO is open to all FAO member countries. The Court of Justice (1994) concluded that information about huntable bird species must be gathered. Hunting must be closed and the complete protection of huntable species must be guaranteed during the period of reproduction and prenuptial migration. To facilitate data collection, the document “Key concepts of Article 7(4) of directive 79/409/EEC” (KCD) was elaborated to provide the EU Commission with data from all Member States (MS). The document has been updated several times since 2001 with the entrance of new MS into the EU. During the 10thNADEG meetingheld on 22–23 May 2018the need to refresh the information on trends of huntable birds was discussed. Although already comprehensive, the data is to be further reviewed and updated in the future to take into account the most recent data in all MS and to remove some discrepancies between MS. Furthermore, sizes and trends of bird populations are changing and the global climate has brought about changes in the periods of reproduction and prenuptial migrations. Competent authorities from MS must provide the data to the Commission until 31 October. After that, the Federation of Associations for Hunting and Conservation (FACE), Birdlife Internationalas well as national representatives of scientific working groups will make quality checks and compile a draft report. The draft will be discussed at the NADEG meeting in May 2019 and approved by the subsequent NADEG meeting in June 2019 (see list below). By December 2019: Updated Key Concepts document on the period of reproduction and prenuptial migrations adopted at Commission level. 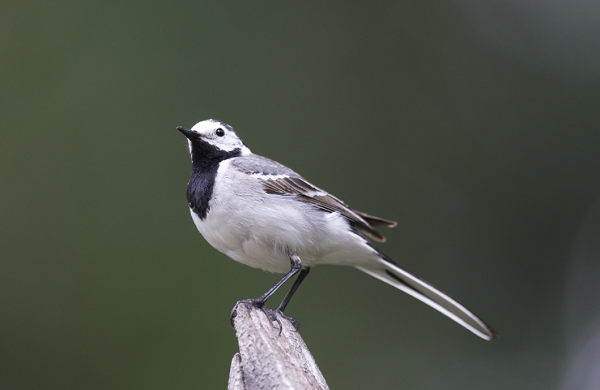 More information on the migration of huntable bird species in the EU is available under this link.The EC Guidance on the Birds Directive is available here.